Bankruptcy Information | Received Pre-Approved Credit Card? Do You Really Want It? Received Pre-Approved Credit Card? Do You Really Want It? 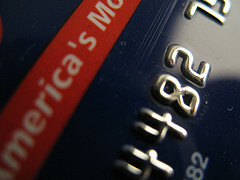 Home > Consumer Credit Issues > Received Pre-Approved Credit Card? Do You Really Want It? 28 May Received Pre-Approved Credit Card? Do You Really Want It? Yesterday, my clients and I were meeting to sign their Chapter 13 Bankruptcy Documents for filing, when the client pulled out his just received in the mail Pre-Approved Credit Card Letter. My first thought was: Are you kidding me? Believe me, I could write an entire blog on the wonderful benefits of this piece of plastic. Note the sarcasm. I recently posted a video about which secured credit card would be the best to acquire after a person files for bankruptcy. The reasoning behind this video was simple. I wanted consumers to know that after they file for bankruptcy the secured credit card solicitations will begin to come fast and furious. Now, it seems like the credit card solicitation has been taken to an entirely new level. The reason I say this is because my clients were not in the best financial shape. They were re-organizing their finances for this very reason. I understand the credit card game. It is a revolving door. People sign up for a card and eventually close the card. Sometimes people last for a while, but the credit card companies must continually grow or die. They cannot sit around servicing their existing accounts. They must pursue new business. I also know that the credit card company did not know that the clients were contemplating filing for bankruptcy; however, they did target these individuals for an application. Knowing a little about marketing, I thought about this for a moment and asked my clients if they did anything which would trigger this application. Did they buy a new car? Did they apply for credit? In other words, I wanted to know if something kick-started this whole process or if it was just a random occurrence. It seemed to be random. This really got me thinking because something in their credit file must have said: These people or person fit the exact criteria and/or demographic that you MR. VISA card are looking for. As we all know, the credit card companies rely on the big three Credit Reporting Agencies for their information. So, once Mr. Visa sets the parameters, the CRAs scour their credit profiles looking for those individuals that fit the criteria. Once culled, those lucky individuals begin to receive the onslaught of unsolicited mail. How can you opt out of being one of the lucky people. Before we get there, let’s just say that pre-approved doesn’t always mean what you think it says. No, these are not the best cards on the market. But, they do serve a purpose for some individuals. Like everything else, before applying for one of these little devils, please do your homework, watch video blogs from consumer advocates and read the fine print. Ok, so let’s talk about opting out of the promotional marketing. Here is all you need to do. Call 1-888-567-8688 and provide some information into the automated system. Once completed, you will be protecting yourself for two (2) years. You can also request information to make this a permanent feature. If you are like me and need to proof read the copies as well as the original, you can also contact each CRA. Equifax is 1-800-556-4711; Experian is 1-800-353-0809; Trans Union is 1-800-680-7293. Supposedly, it is not necessary to contact all three CRAs, but I tend not to trust these companies to do the right thing. So, in an abundance of caution, call them all.